New Zealand’s Family of Twelve are pleased to announce that the ‘The Family of Twelve Scholarship’ has been awarded to Stage 2 MW student Christine Marsiglio. Christine, a Tastings Executive at Decanter Magazine, will travel to New Zealand for a 12-day exclusive tour of the Family of Twelve properties throughout the major wine-growing regions, including special tastings and discussion with their principals and winemakers. Originally from Canada, Christine enrolled in the MW Study Programme in September 2015 and holds a Bachelor of Science from the University of Alberta, Canada, a Masters in Viticulture and Oenology from Ecole Supérieure d’Agriculture in Angers, France and a WSET Diploma. As Tastings Executive at Decanter, she organises the Panel Tastings for each issue, and helps with the running of the Decanter World Wine Awards in London, and the Decanter Asia Wine Awards in Hong Kong. The Scholarship was open for entry to all students on the MW Study Programme by submitting an essay titled: “Is it time for real world fine wine, not just old world and new world wine?”. The Family Scholarship committee felt Christine’s essay was the clear winner and commented on both the clarity of Christine’s essay argument, and also of her commitment to the wine industry and to her own professional development. Judy Finn, Chair of New Zealand’s Family of Twelve said, “The scholarship offers Christine the unique opportunity to experience the personalities and values of all twelve Family wineries. She’ll spend time with winery principals along with our viti and vini people exploring the great diversity of New Zealand’s wine regions and styles. 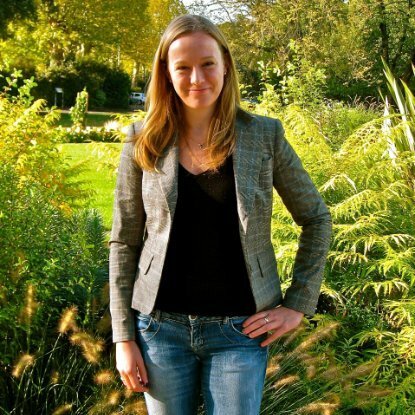 Christine’s essay consideration of sustainability and globalisation resonated well as did her highlighting of climate-change as a key challenge for wine producers. We are very excited to be hosting Christine and hope the experience will be mutually beneficial with her learning from us while she contributes to our Family learnings”. Olivier Chapman, Head of Study Programme and Development said, “This is the second time the Family of Twelve have offered this wonderful Scholarship to our MW students and we remain very grateful for their continued contribution and support to the learning and development of our students on the Study Programme”. The Family of Twelve is a fraternity of twelve of New Zealand’s most prestigious and enduring artisanal wineries. Founded in 2005, the Family’s vision is to nurture long term relationships with an emphasis on education both at home and in our key export markets. The promotion of New Zealand wine at its best is paramount. Neither flashy nor fashionable our family table is about sharing a simpler set of beliefs; exchanging ideas while keeping a common thread that binds us all together. But our connection isn’t merely intellectual, on a practical level we share information, best practice and sometimes even secrets. Contrasting personalities, different wine regions and styles make up our family and we celebrate these differences. We are a family of twelve siblings with one voice and one purpose. Clarity in a crowded wine world. The Institute of Masters of Wine (IMW) is a professional body with an unsurpassed international reputation. The Masters of Wine (MWs) hold the most respected title in the world of wine. The IMW promotes excellence, interaction and learning across all sectors of the global wine community. MWs have proved their understanding of all aspects of wine by passing the MW Examination, recognised worldwide for its rigour and high standards. In addition to passing the Examination, MWs are required to sign the Code of Conduct before they are entitled to use the initials MW. The Code of Conduct requires MWs to act with honesty and integrity, and use every opportunity to share their understanding of wine with others. There are currently 353 Masters of Wine today, working in 29 countries. The Membership encompasses winemakers, buyers, journalists, shippers, business owners, consultants, academics, and wine educators. There are 350 students in the MW Study Programme from 40 countries.